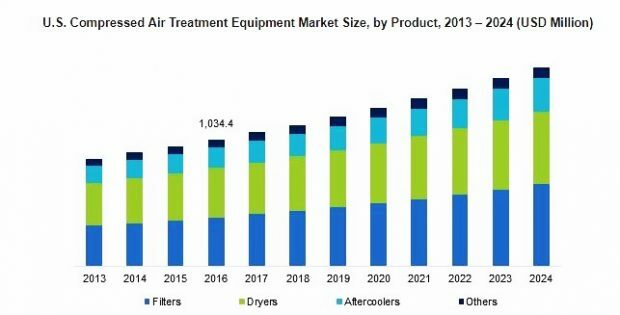 According to a new research report by Global Market Insights, Inc., Compressed Air Treatment Equipment Market size will likely surpass USD 11 billion by 2024. Rapid industrial expansion in the Asia Pacific region will be one of the major factors influencing the compressed air treatment equipment market. Countries such as India, China, Japan, and Indonesia have undergone tremendous growth in the last couple of years and will display exceptional industrial development in the succeeding decade. Moreover, continuous improvements in the chemical & pharmaceutical industries of China and India will further propel the compressed air treatment equipment market in the forecast period. Compressed air treatment equipment market will see growth barriers in the upcoming years owing to its high operational and maintenance costs. Around 70% of the of the total cost incurred is of the energy that the equipment consumes. Also, huge capital expenditure on the machineries make them less preferred for buying. 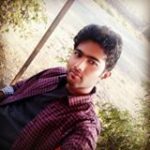 Customers tend to obtain the desired machinery on a rental basis which makes it easy for them to save the maintenance and capital cost, and also use superior and developed machinery each time. These factors may result in slower growth of compressed air treatment equipment market in the forecast spell. On the basis of application, the market is classified into breathing air, process air, instrument air, and shop air. With a significant share in the compressed air treatment equipment market, breathing air segment will surpass USD 3 billion by 2024. Rising awareness about the worker safety and regulatory standards for the same will boost the segment growth in coming years. Industrial end-user segment, including general manufacturing, holds a major chunk of share in the global compressed air treatment equipment market due to the increasing automation and popularity of pneumatic precision engineering systems. The segment will surpass USD 2 billion by 2024 growing with over 5.5% CAGR.